In Episode 1 Dr. Scott Garrison shared highlights of the difference between Randomized Controlled Clinical Trials (RCTs) as compared to the clinical studies of the Canadian Pragmatic collaborative. Pragmatic Trials (PTs) may also differ from RCTs in that the recruitment of patients in pragmatic trials are focused on the population impacted by the standard of care rather than in patients selected best to align with the drug or protocol endpoints for regulatory approval. RCTs may exclude some patients who are complex or elderly. PTs include complex patients to gather more information on the outcomes – using data already being collected to measure outcomes that will improve patient outcomes such as stroke or mortality. Patients recruited to PTs are followed for about three or four years. 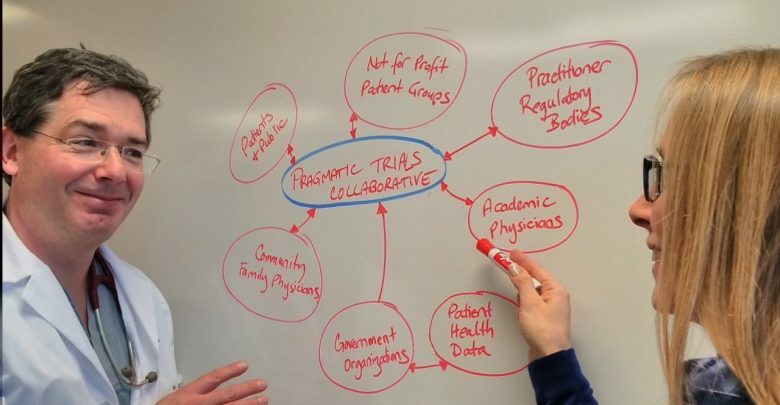 The goal of the Pragmatic Trials Collaborative is to be able to do more studies. Currently we are conducting a PT on timing of blood pressure medications – the BedMed Study. One area of focus and interest is in polypharmacy reduction – where many elderly patients on many different medications may do better if their multiple medications are reduced. Outcomes that matter may include common conditions and outcomes such as mortality or hip injuries. 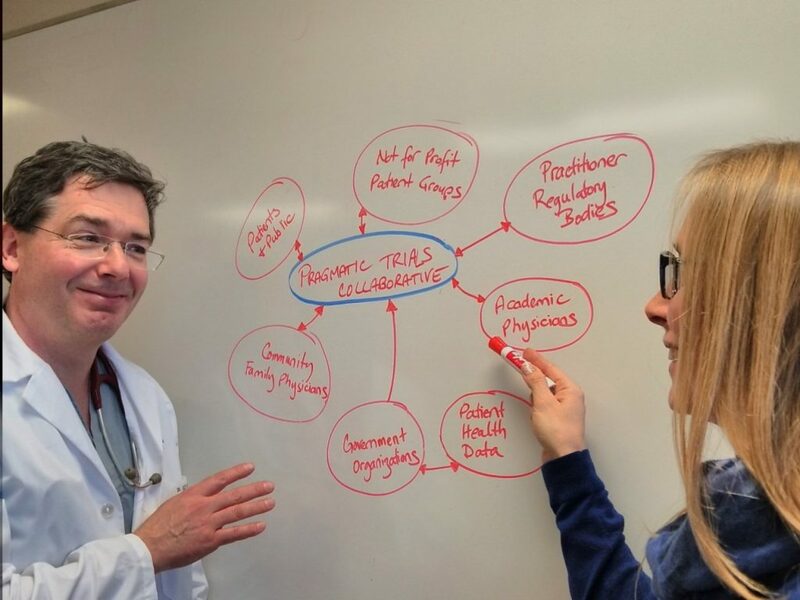 he Pragmatic Trials Collaborative is a group of practicing primary care providers (including family physicians, nurse practitioners, registered nurses and pharmacists) coming together to improve the care of our own patients and answer pivotal healthcare questions along the way. We are a western Canadian initiative with members in British Columbia (BC) and Alberta (AB) and we are looking to expand our quality improvement network to other provinces as we grow.